The Lone Star Park-Kentucky Derby Day Hat Contest is scheduled to be the biggest ever. We have the most incredible Derby Day hat selection for you. We have embellishment ideas, feathers etc., to get the special customized look you want. 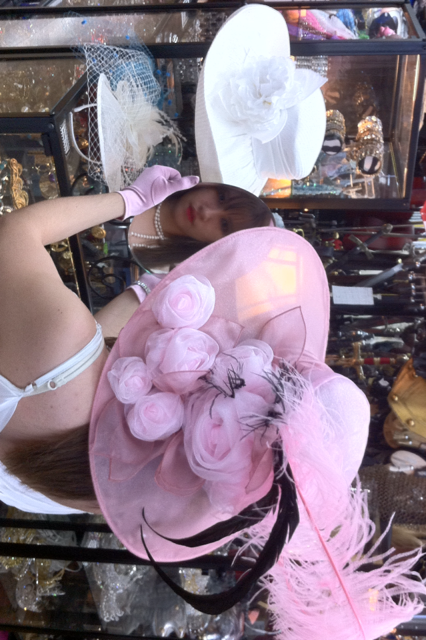 We even have items to help you customize your hat to match your Derby Day dress. We have great Jewelry and other Accessories to compliment your Outfit. Its Lone Star Park Kentucky Derby Day Event in Grand Prairie. Get mens Derby Day Jockey Costumes and Gentlemens Derby Day Hats many styles and add a nice spring fashion bow tie and/or suspenders. We have many spring sport coats that are fresh and perfect for men for Lone Star Park Kentucky Derby Day. You are in Grand Prairie category.